Who are Australia’s Worst Drivers? MOST Australians would fancy their chances in a driving test against a South Korean woman who failed a staggering 959 times before she finally got her licence. Failure never phased Cha Sa-Soon, from a little-known town about 170km south of Seoul, who took the test five times a week for three years from 2005. 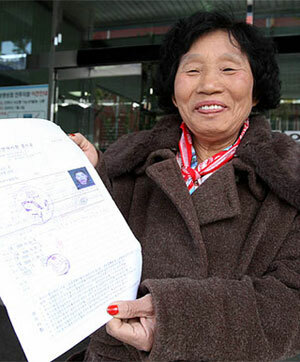 Finally, in 2010, she passed, on her 960th attempt. Cha Sa-Soon: World famous for failing her driving test 959 times. On the world stage, how do our driving skills stack up? For Australians who have driven in Europe, where courtesy and patience are more common than on our roads, frustration with our driving standards can easily boil over. Ignorance, selfishness and overt aggression make our daily commute more stressful despite relatively uncongested roads. The worst behaviours are all avoidable. Hair raising examples of what makes most drivers’ blood boil include queue jumpers, tailgaters, lane swervers, led footers, fast lane slow coaches, timid freeway ramp mergers and angry overtakers. Australian TV current affairs shows get plenty of mileage out of featuring footage of shocking drivers – like this one that aired on Today Tonight. And Aussies aren’t shy at pointing the finger at who we think are the country’s worst drivers. Perth drivers scored an own goal in a 2009 WA survey by RAC, with 55% rating the state’s driving standards worse than anywhere else in Australia. Only 7% rated WA drivers as good or excellent, with 60% rating driving standards as poor or very poor. Another 70% thought their own drivers were rotten at merging, and 64% berated WA drivers for not keeping a safe distance behind other vehicles. Insurance stats show that South Australians make more claims after crashes than drivers in any other state. While more claims came from the most populated states of NSW and Victoria, South Australia scored highest for claims per 1,000 vehicles registered at eight, while the ACT, Northern Territory and Tasmania had the least number and rate of claims in the country. If you don’t feel safe on Australian roads, an investment of around $200 in a Crash Cam will provide some comfort to safety-conscious drivers intent on protecting their insurance rating. Web forums are full of hilarious discussions about bad drivers, and a Facebook Page asks the question “which state has the worst drivers?” No state escapes the wrath of contributors, but drivers from Victoria and New South Wales feature prominently in the criticism. “All the people moving to qld from nsw and Vic have destroyed the roads up here. Victorian drivers – rh lane hogs, slow mergers and wide turners. NSW drivers -tailgaters, can’t stick to the one speed, heavy on brakes and don’t leave any room for merging traffic,” one poster said.